The Berlin Wall shown from West Berlin, May 1989. 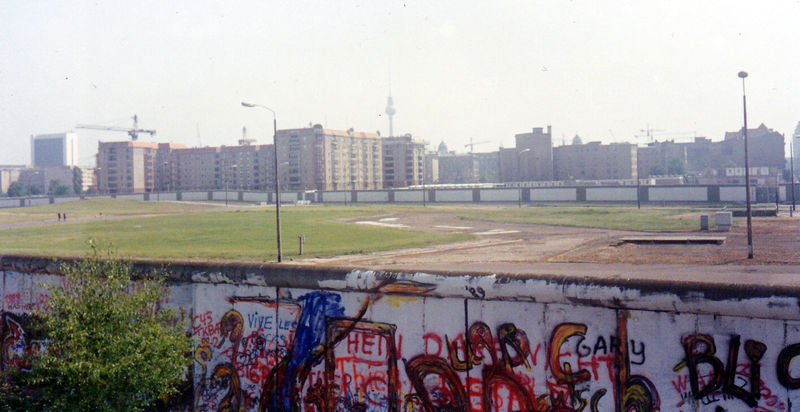 The Berlin Wall fell 25 years ago today. I wasn’t there when it fell but had the opportunity to see the wall in person a few months earlier as these photos show. In May 1989 I traveled throughout Germany with a choir from Baylor University. Though seeing the concentration camp at Dachau was the most sobering part of our trip, witnessing both sides of the Berlin Wall was like traveling through a time warp, with West Berlin reflecting the cars and culture of the 1980s and East Berlin appearing stuck in the 1960s. Today I’m glad that both East and West are thriving in the year 2014. 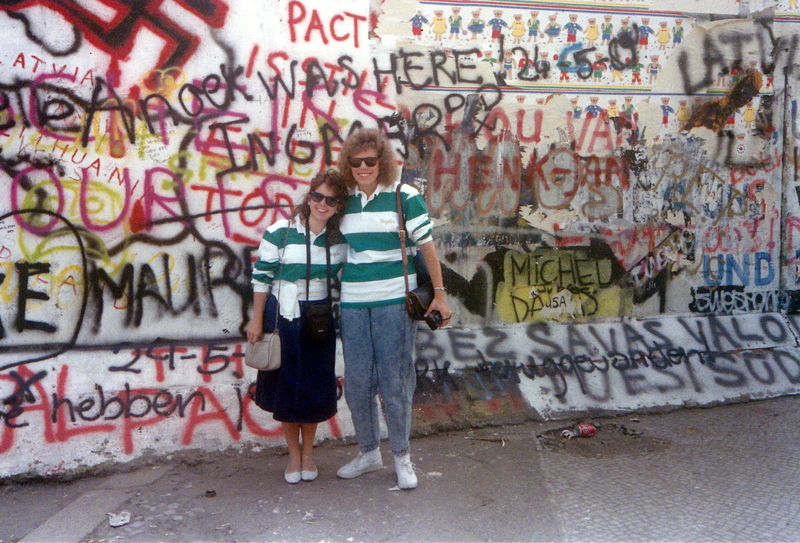 Representing Baylor University, Jane Hampton Cook and Lisa Mazon stand in front of the Berlin Wall in May 1989. Germany has long been a special place to me for one simple fact. I was born there. A member of the U.S. Army, my father was stationed in Germany when I was born. Though the war had ended decades earlier, he was part of the U.S. government’s post World War II agreement to keep military forces in Germany. Though I didn’t understand the politics or the significance of Ronald Reagan’s 1987 “Tear Down this Wall” speech when I saw the wall in 1989, I understood its injustice. The Berlin Wall had been built overnight in 1961 to prevent East Germans on the communist side from fleeing to the economic prosperity found in West Germany on the democratic side. 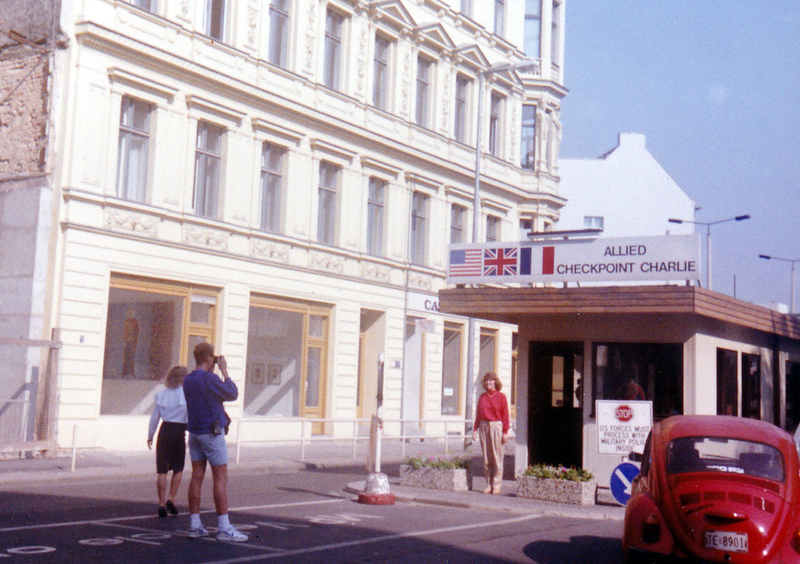 Baylor students take photos at the famous Checkpoint Charlie in Berlin. My father had told me stories of how the wall had divided families, preventing them from being together. In the early days, parents would hold up babies to show grandparents on the other side the grandchildren they would never meet. When the wall came down on November 9, 1989, I felt a connection to it because I had just seen it with my own eyes and had heard those stories. Because I’ve never lived under communism, I couldn’t truly understand the emotions of those who tore it down. But I could see the joy on their faces as they participated in the most historic event of the decade. 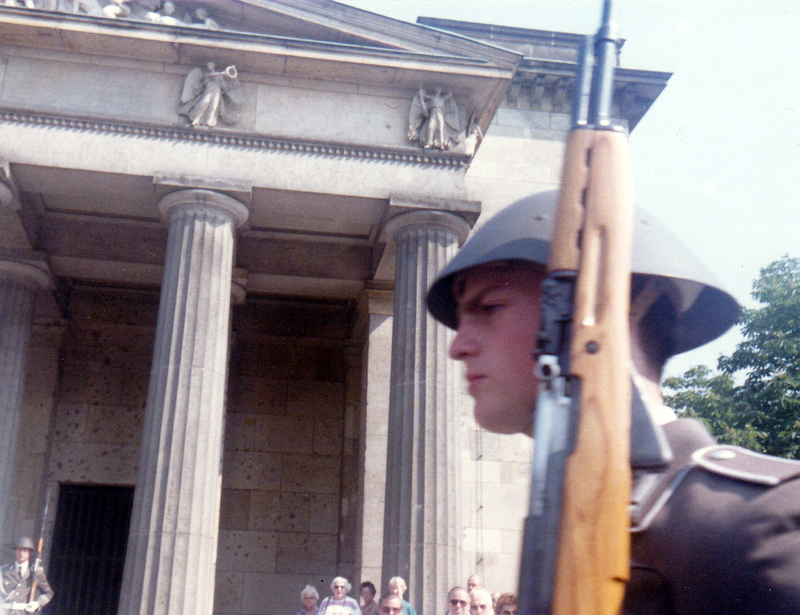 An image of an East German soldier at a Soviet monument before the Berlin Wall fell. Over the years, my path has frequently and unexpectedly intersected with the wall in ways I never imagined or sought out. While working at Texas A&M University in 1997, I had the opportunity to plan a ceremony dedicating the eye-catching outdoor bronze sculpture “The Day the Wall Came Down,” which is part of the George Bush Presidential Library in College Station, Texas. A large segment of the wall is part of the library’s interior. As someone who studies and writes about U.S. presidents today, I’ve been asked several times to talk about Reagan’s “Tear Down this Wall” speech on shows such as Your World with Neil Cavuto on the Fox News Channel, Liberty Tree House, and, most recently the 1980s episode on the History Channel’s United Stuff of America on H2. None of these were opportunities I sought. They came for one simple reason. The fall of the Berlin Wall is a topic that still resonates and interests people because it was the most significant, tangible expression of liberty witnessed around the world. While Reagan’s forceful voice and call to action was the sound of justice coming, the images of the German people toppling the graffiti walls and charging over the concrete were the unmistakable sights of freedom. All are worth remembering today, 25 years later. This entry was posted in History, Politics, Uncategorized and tagged #BerlinWall, 1989, Baylor University, Berlin Wall, Fall of the Berlin Wall, Ronald Reagan. Bookmark the permalink.